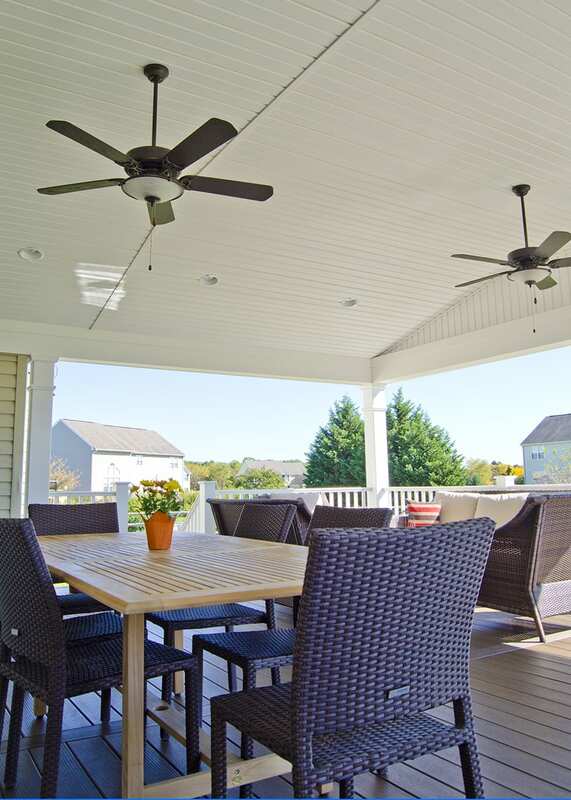 This impressive outdoor living space is built using TimberTech Mocha decking. The main feature in the space is the open style porch finished in white bead board. The project also includes a completely open hot tub area as well as black lattice that close off the deck underneath. The keystone team finished this project in August of 2015.